Everyone knows that I am a big fan of downtown. We love spending time there — discovering fun events, cool places to eat and even just walking around and checking out all of the cool architecture. One of our favorite stops of course is Fountain Square. Aside from the boys running around the fountain, there is always something going on there — from music & dancing to fundraisers, you just never know what you will find. For families, one of the best days to head down to Fountain Square this summer is Saturday. Starting tonight, Fountain Square is hosting two great events for families – “Family Days” during the day, and “Toyota Movie Night” in the evenings. 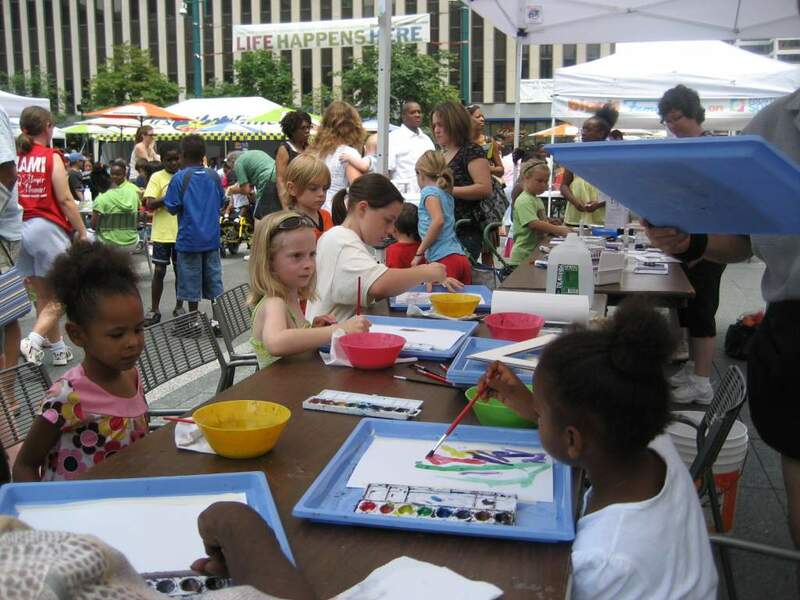 “Family Days” ~ Starting today, and running every Saturday this month, Fountain Square is hosting Family Days, and is inviting children ages eight and under downtown for some fun! Starting at 10 am and running until noon, young attendees will include activities tied to art, music, dance and fitness, animals and more! Special guest host Chris Lynn from Warm 98 will be on site each week to lead the fun as well as special guests, including children’s librarians reading stories from the Curious George books, Happen Inc & Art Machine leading wacky craft projects and “playground games” will be scattered throughout the Square. Rufus the Reading dog from the library and Binny from Rumpke Recycling among other mascots will also be stopping by! While you are there, you can also sign up your children for the Cincinnati Library’s Summer Reading program. Toyota Movie Night ~ An activity that my family can’t wait for, Fountain Square is bringing back Movie Night! Grab some folding chairs, a few snacks and head down to the Square to watch movies on the giant screen over Macy’s. It’s just like being at the drive in, only better because you’re surrounding scenery is gorgeous (have you been downtown at night lately? just beautiful!) Movie previews start at 7pm, with movies starting at 7:30 & 9:30pm. The evening usually lasts until 11:30 or midnight, so depending on the age of your children, you may want to leave after the first movie. Last year my boys and I saw Kung Fu Panda on Fountain Square and we loved it. We brought blankets and snacks and topped off our evening with ice cream from Graters! Oh, one very important thing to note…. did I mention Movie Night is FREE!! That’s right, FREE! Toyota Movie Night runs all summer long and into the early fall. Here’s a look at some of the movies that are coming up. 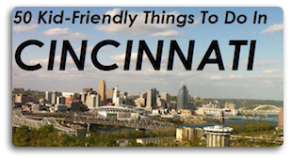 You can view a complete list on the Fountain Square website. AmericanHealthJournal is seeking partner blogs in the health genre. American Health Journal is a medicine website which owns a large library of high quality medical videos. We are seeking professionals who are interested in submitting guest articles to our web site. . Come contact us at our contact page on our site. I love visiting Fountain Square – they always have great events. Great post!